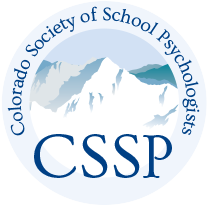 The mission of the CSSP State-Wide Crisis Response Team is to provide comprehensive school-based prevention, intervention, and postvention crisis resources and services. The CSSP State-Wide Crisis Response Team advocates for professional development training opportunities and multi-level crisis response programming. The CSSP State-Wide Crisis Response Team encourages interagency collaboration and services in preparing for and responding to crises that impact the school and community. Click here for a CRT Brochure and contact information for CRT co-coordinators: Crisis Team Brochure. Interested in hosting a PREPaRE training in your district? The PREPaRE curriculum has been developed by the National Association of School Psychologists (NASP) as part of NASP’s decade-long leadership in providing evidence-based resources and consultation related to school crisis prevention and response. PREPaRE training is ideal for schools committed to improving and strengthening their school safety and crisis management plans and emergency response. PREPaRE provides school-based mental health professionals and other educational professionals training on how to best fill the roles and responsibilities generated by their participation on school safety and crisis teams. PREPaRE trainings can be scheduled by any sponsoring organization, school, district, etc. Sponsoring simply means that you are hosting and organizing the training. Interested in hosting a PREPaRE Workshop 1 or PREPaRE Workshop 2 training in your district? Find a local trainer on the NASP PREPaRE Trainer Website. If you are interested in hosting a PREPaRE Train-the-Trainer (ToT) in your district, contact Franci Crepeau-Hobson at franci.crepeau-hobson@ucdenver.edu.